Even if you’re not a Hollywood movie star or someone who routinely keeps NSFW photos on your phone or in your private cloud storage account, there’s something creepy about the thought of your images being viewed or appropriated by an outsider. 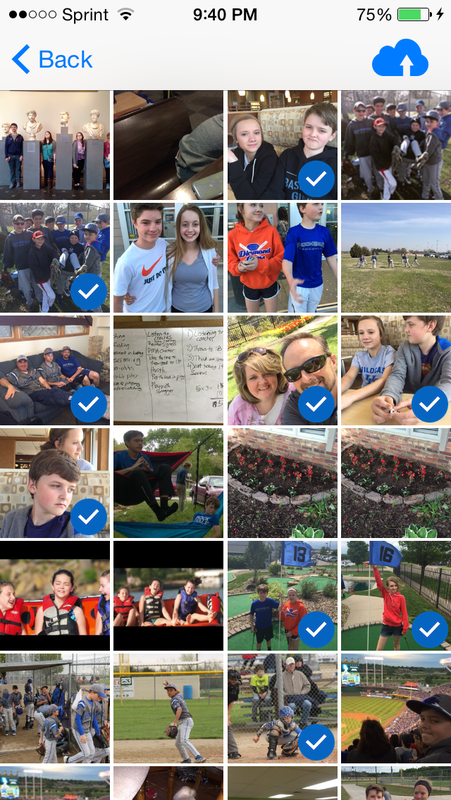 CloudSlice, a new app for iOS, seeks to add an extra layer of security to your photo collection by not only encrypting pictures but breaking up photos into different parts — slices — and distributing them among various popular storage services to further protect their content. 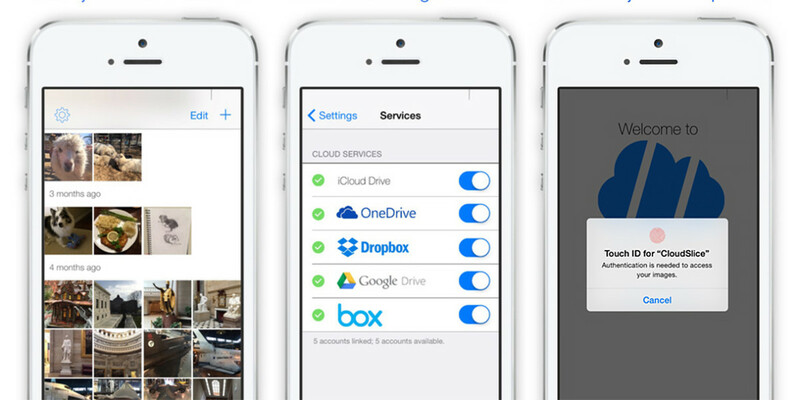 CloudSlice works with iCloud, Google Drive, DropBox, Microsoft OneDrive, and Box, first encrypting the photo data with a key held by the account holder, and then slicing and distributing the pieces of each photo in up to five cloud storage accounts. On iCloud, slices are kept in a private CloudSlice app sandbox belonging only to your iCloud account. This method enhances photo security since whole photos are not stored in any single cloud account, but split among several. Each slice only contains only parts of encrypted image data. Slice data can only be put together with the right key, providing extra protection. Escape Velocity Apps, makers of CloudSlice, say its product protects against activities like the targeting of children for unauthorized photo or marketing use, as well as mining photo metadata for location or other data. CloudSlice is not a cloud storage service and your complete photo is not stored anywhere – only the slices exist on the storage servers you designate. Thus if any individual cloud storage service is compromised, no one can get a copy of your complete photo. The app runs on top of the security measures already imposed by each storage provider. Cloudslide recommends subscribing to five services through their free apps. To slice and upload photos, users tap the Plus (+) button on the main screen and select the images you want to protect. To retrieve a stored photo, tap on its thumbnail. The photo slices will be gathered and displayed in CloudSlice, where you are then given options for sharing or exporting. CloudSlice considers it service as part of a security strategy and does not claim to be foolproof. If you decide to use CloudSlice, be sure to remember your password, because CloudSlide does not keep a record of it. It’s available for $4.99 on the App Store for iPhone and iPad.